What You Should Do If It Has A Hearth Product? In Oregon, news laws now apply when buying or selling a home. 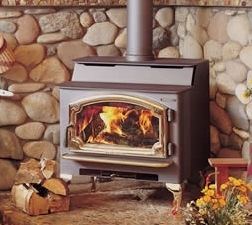 An uncertified woodstove must be removed when the home is sold. For more informaiotn on this, see Wood and Pellet Stove Laws. 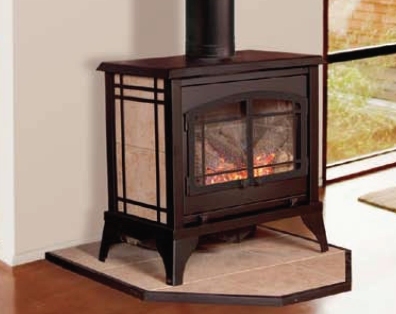 If you have a an EPA certified woodstove or a pellet stove it can add value to your selling price. If it has been properly cared for, your selling price should reflect that additional value, but even the smallest of faults in a hearth product can impede a quick sale. Scroll down the list of hearth products to the one(s) you have in your house to learn how to prepare a stove or fireplace for sale. 1. Have the chimney cleaned and inspected by a chimney specialist. Have the inspection report handy. 2. Make sure there is a working damper or a glass door on the fireplace. 3. Address the problems or provide a list to the buyer. 1. Have the chimney and the gas connections inspected by a certified chimney specialist. 2. Make sure the damper is permanently opened. 3. Put a glass door on the fireplace. 4. Make sure there is a manual with instructions for use. 1. Have the chimney cleaned and inspected by a certified professional. 2. Make sure the insert is installed properly with an approved flue. 3. Address problems or list them for the buyer. 4. Make sure there is a manual. 5. If the insert is uncertified, remove and recycle it. 6. Make sure the non-combustible hearth reaches at least 16” in front of the insert door. 1. Indicators of a problem are dirty glass, sooty logs, difficulty in starting, and a flame that drops out. Have the insert serviced and repaired. 2. Even if the insert has been working perfectly, have it serviced if you have not had it serviced within a year. 3. Make sure an owner’s manual is available. 1. Have the insert serviced by a hearth professional. 3. Make sure there is an owner’s manual. 1. 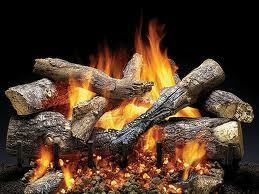 Dirty glass, sooty logs, difficulty in starting and dropping out flames signify a need for service. Call in a certified hearth professional. Even if the fireplace seems to be working well, have it serviced if it has not been serviced within a year. 2. Make sure there is an owner’s manual. 3. Make sure there’s a metal identification and instructional sheet on the bottom of the fireplace. 2. Make sure an owner’s manual is available. 3. Check the rating plate on the back of the stove for EPA certification. If the stove is uncertified, make sure it is legal, in your county, to sell the home with an uncertified stove installed. If not, remove it. 1. Have the stove serviced by a professional hearth specialist. 2. Make sure you have an owner’s manual is available. .
1. 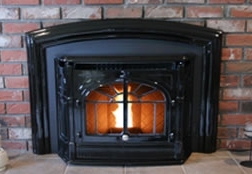 Have the stove serviced by a certified hearth professional. 2. Make sure there is an owner’s manual available. .
1. 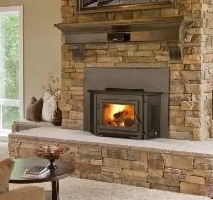 Have a certified hearth professional service the stove. 2. Make sure there’s an owner’s manual available. 1. Decide if you want to leave them in the house or remove them. 2. If you want to keep it in the house, make sure there is a manual with instructions for use. 3. Ventless products are not meant to heat houses or to be used for more than three hours at a time. Make sure potential customers are aware of that. 4. If you have not been happy with your ventless product, remove it. Once you’ve ascertained that your hearth product is installed properly, cleaned, and serviced, you can feel comfortable with the knowledge that your home is worth more to your buyer because you took the time and energy to install and maintain a fireplace, insert, logs, or stove. A fireplace can be the focal point of a home. It creates an aura of comfort, happiness, and romance. It also adds value to the home. If you are considering buying a house with a fireplace or other hearth product, there are a few things you should know. Scroll through the following options for information on the type of hearth product you are considering. Does the house have an open wood-burning fireplace? Is it a masonry or a manufactured fireplace? 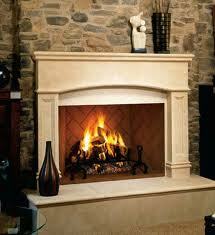 Masonry wood burning fireplaces are site-built by a mason and are constructed of brick, stone, or concrete. Because of their weight, there must be a support that goes all the way to the foundation. Usually masonry fireplaces will have a brick or tile-lined chimney. Masonry fireplace often last longer than the home! Manufactured fireplaces, those made in a factory, are constructed of steel. The metal is visible if you look inside and they usually have large metal chimneys as well. Since they are made of metal, manufactured fireplaces are much lighter and don't require the same support as masonry fireplaces do, but they will corrode and disintegrate over time. Has the chimney been cleaned and inspected? - If so, is there a copy of the inspection report? 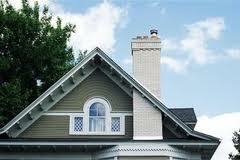 - If not, have it inspected by a certified chimney specialist. 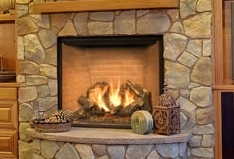 - Either repair the problems or permanently close the fireplace opening. Does the fireplace have a working damper and a glass door with a mesh screen? - When the fireplace is burning, an open damper and open glass door allows good air circulation while the closed mesh screen stops sparks from jumping onto the floor. Is there a grate in the fireplace? - The grate isn’t essential, but it allows air to circulate under and around the fire. If the fireplace is a manufactured fireplace, make sure it has no corrosion. Have the chimney and gas connections been inspected? If not, have it inspected by a certified chimney specialist. Is the damper permanently opened? It should be. Is there a glass door installed? Glass doors are needed to prevent heat loss from the home. Is there a manual for operation? Make sure there are instructions for use. It may be difficult to tell what kind of fireplace you have because there’s an insert in it. 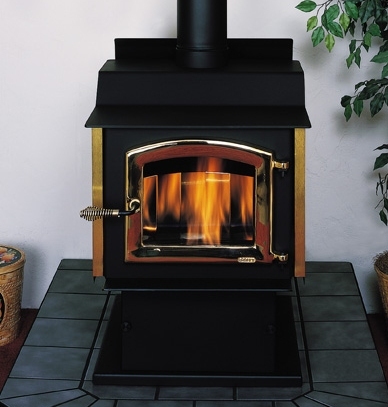 With an insert, a wood stove is essentially inserted into the fireplace and a steel plate covers the opening. The fireplace becomes an effective heater. Your insurance company will want to make sure the insert is in good working order and installed properly. - If yes, is the report available? - If no, have it cleaned and inspected by a certified professional. Is the insert in good condition and installed properly with a chimney liner? Make sure. Have all chimney and stove problems been addressed? Is there a manual available to tell how to use the insert? Is the hearth big enough? There must be at least 16” of non-combustible material in front of the insert door. Is the glass dirty or are the logs sooty? Does the flame drop out, or is it hard to start? These symptoms signify need for servicing. Has the gas insert been serviced within the last year? If not, have a hearth specialist inspect the insert, gas lines and gas connections. Is it installed properly with a liner? If not, don’t use it until it is so. Are the gas connections and all parts working properly? Ensure they are. Is there an owner’s manual? All inserts are different; make sure you can get a manual and understand all basic operating procedures. Is there a metal sheet in the bottom of the insert? It tells the name and model and gives operating instructions. Has the pellet insert been serviced within the last year? If not, have a hearth specialist inspect and clean the insert. Is it installed properly with a liner? If not, don’t use it until it is. Is it working properly? Ensure it is. Is there an owner’s manual? A pellet insert needs regular weekly, monthly and annual maintenance to ensure its usefulness as a heating source, as well as ensure its safety. The manual will tell you how to operate and maintain the insert. 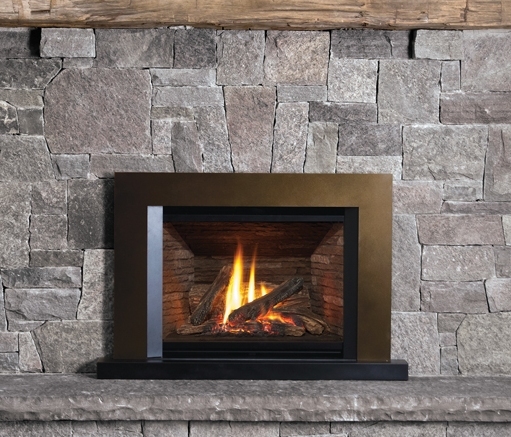 Just as a gas insert can provide comfort and warmth, so can a gas fireplace. Not all gas fireplaces, however, are meant to give heat, so be sure to ask which kind in installed in the house you’re buying. Is the fireplace a decorative or a heating appliance? Don’t expect a decorative fireplace to give you comfortable heat. Is the fireplace installed properly and has it been serviced within the last year? If not, have a certified hearth specialist inspect the fireplace. Is there a manual? Make sure you can get a manual and understand all basic operating procedures. Is there a metal sheet on the bottom of the stove? It gives starting instructions. Wood stoves, when properly sized for the home, provide comfort and enjoyment. Wood stoves manufactured after 1988 must be EPA certified and have a rating plate on the back stating so. Certified stoves are manufactured to burn cleanly and efficiently, using less wood and giving off more heat than uncertified inserts. Also, they don’t cause as much pollution. 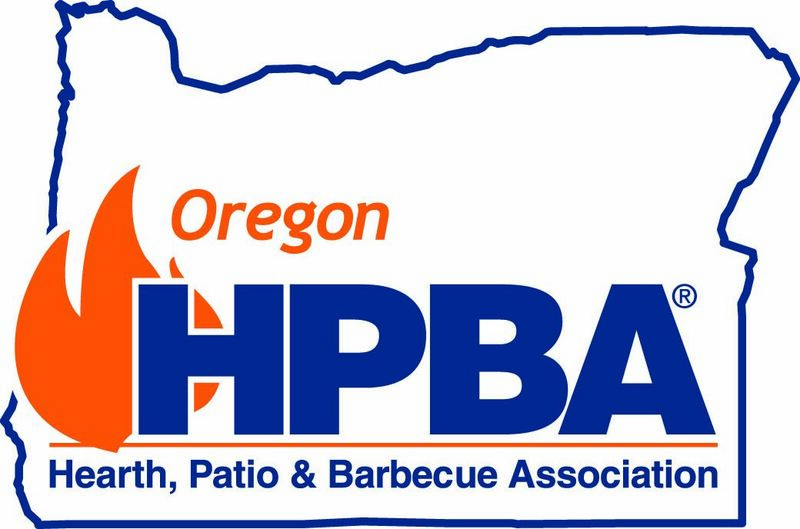 In some counties in Oregon, stoves and inserts must be certified or must be removed at the time of the home sale, with replacement as an option. 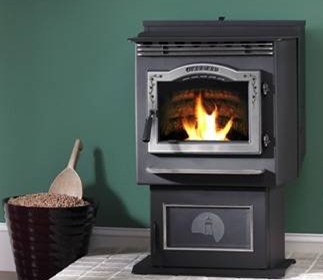 In other counties, an uncertified stove is “grandfathered” to remain where it was originally installed, but it cannot be removed and installed anywhere else, be given away, or sold. Has the chimney been cleaned and inspected? If yes, is the report available? If no, have it cleaned and inspected by a certified professional. Is the stove in good condition and installed properly with proper chimney and vents? Make sure it is. Is there a manual available to tell how to use the stove? Is the stove certified? If the stove is not certified, plan to remove it and budget for a new one. If a stove predates 1935 and has special value, it is exempt from certification and can be used. Is the stove installed properly and has it been serviced within the last year? If not, have a certified hearth specialist inspect the fireplace. Is there a manual? Make sure you have a manual and know how to use the fireplace. Has the stove been serviced within the last year? If not, have a hearth specialist inspect and clean the insert. Is it installed properly? If not, don’t use it until it is. Does the stove have sooty or dirty glass? That may be an indication that it is not working properly. Is there an owner’s manual? A pellet stove needs regular weekly maintenance to ensure its effectiveness as a heating source, as well as ensure its safety. Has the stove been serviced within the last year? If not, have a hearth specialist inspect and clean the stove. Is it installed properly? If not, don’t use it until it’s properly installed. Is there an owner’s manual? If not, get one from the manufacturer. A hearth product adds value to the home. When it is working properly and maintained, it will give you years of memories, comfort and enjoyment.